The 2019 Ride El Hefe Snowboard Binding was created to satisfy those all mountain bosses, who need a binding that can hold up to the inevitable abuse they'll put on it. Made with a 100% aircraft grade aluminum alloy chassis, you can fly through the air like a 747, without any added weight. These stiff bindings feature carbon slimebacks to provide the rider with a responsive flex, without sacrificing on comfort. 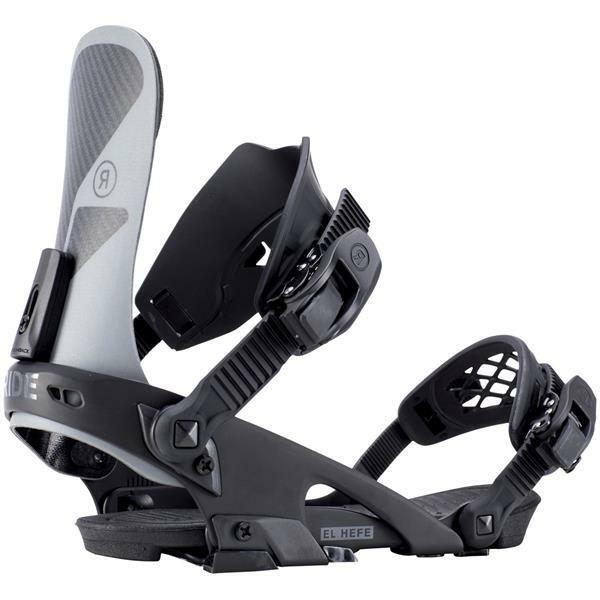 The Wedgie footbed adds support to this beast of a binding by using an ultralight footbed that has a small angle, to align knees and ankles in a more natural position. You'll charge harder than anyone else on the mountain, in your 2019 Ride El Hefe Men's Snowboard Bindings.